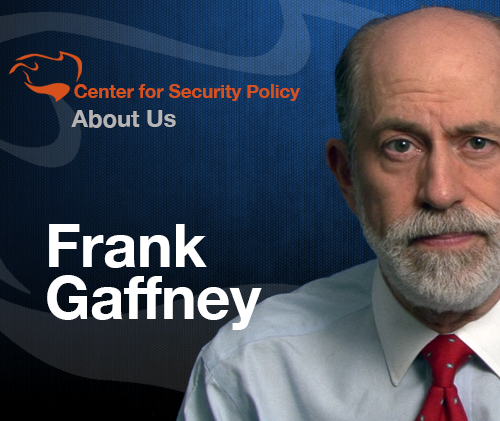 Tales from a tribble: Frank Gaffney: "Obama Administration Involved In Setting Up the PA/Hamas Unity Government"
Frank Gaffney: "Obama Administration Involved In Setting Up the PA/Hamas Unity Government"
Frank Gaffney, who is a national security and Middle East expert, and is the founder of the Center for Security Policy, and also a columnist and radio host of the Secure Freedom Radio show, was a very interesting and important guest on the Hugh Hewitt radio show on Wednesday afternoon. Hugh and Frank were discussing the disturbing crisis Israel is facing from the constant Hamas rocket attacks on it's cities. In one of the more stunning moments of the interview, Hugh asked Frank Gaffney if it was true what a listener who has children in Israel asserted that the United States was the first country to recognize the unity government that included the Islamist terrorist group Hamas. Frank Gaffney said it was worse than that. He said that the Obama administration, via the special envoy for the peace process from the State Department, was actively involved in setting up the unity government that included Hamas. That was disturbing and shocking news to me that our government was working to aid a terrorist group to be a part of a government that they actually want Israel to negotiate with. I thank the Hughniverse for being able download the audio podcast of the interview between Hugh Hewitt and Frank Gaffney and I would urge all the Tales readers to become members of the Hughniverse to be able to hear all podcasts of any hour of any Hugh Hewitt radio show and the podcast of the after show Hugh's loyal producer [if Hugh had a producer], Duane Patterson does after the end of the Hugh Hewitt radio show. Also, on the Hughniverse when you sign in you are able to actually see Hugh Hewitt doing his show on video camera on the U-Stream screen. To join the Hughniverse and receive all of its great benefits please click here. To read about Hugh's interview and the rest of his show from Wednesday night, please click Hugh's web site here. PS: Congratulations to Hugh Hewitt for his home town Cleveland landing the 2016 RNC convention. By the way, that is Hugh "Johnny Radio" Hewitt, a handle he has dubbed himself because his beloved Cleveland Browns landed Texas A & M QB, "Johnny Football" Manziel. Hugh is also hoping and praying that his Cleveland Cavaliers can entice LeBron James to return back to Cleveland. Why you ask? Well then Hugh will be able to give himself another new title: King Hugh! Why am I not surprised? Shocked yes, surprised no. I'm not surprised either DB. What's a shame is, you will only hear this on the Hugh Hewitt show- the liberal media would never report this.